My kids have a really hard time imagining what life was like back in the 80's, when patience and waiting were both the order of the day. We're all so used to YouTubing whatever video clip that we want to see when we want it that's it's almost hard to think of life before the internet. Back in 1984 our lives revolved around MTV and the fact that they seemed to repeat popular videos every 4 hours or so. Believe me when I say that my friends and I did the math and would come running inside when we thought that a favorite video was going to air. One of the first ones that I can really remember planning my life around was Ratt's "Round and Round". It was before hair bands and glam metal had really hit the mainstream so they were really different. Plus they weren't just playing their song onstage somewhere, there was actually a freaky storyline that included an attic dinner with real rats and Milton Berle. It was really just a taste of what was to come because a few years later hair bands like Ratt were ruling the charts. 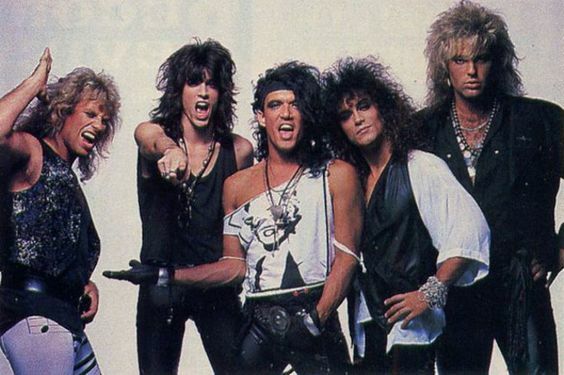 "Round and Round", off of Ratt's debut Out of the Cellar album ended up being their most popular song. It climbed to #12 on Billboard's Hot 100 in 1984.